Surprisingly, pickups are one of the few lines of vehicle that haven’t seen overly drastic price increases over the past couple of decades. Sure, they’ve gone up in price from what they were twenty years ago, but they’ve also expanded their horizons in the way of interior amenities, undercarriage technology, and handy work fixtures. The changes and improvements they’ve undergone have warranted the increase in price they’ve seen. That can’t be said for every line of vehicle. But which ones offer the pinnacle of affordability and reliability? We figured you’d want to know, so we checked the research at Car and Driver, Consumer Reports, Edmunds, and Motor Trend to bring to you the best affordable pickup trucks for the 2011 model year. 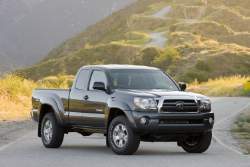 The Tacoma is a midsize truck with a compact price. Its 2.7L four-cylinder engine is adequate on fuel, getting 19/25 mpg (city/highway), and will suit the needs of any buyer who is not looking to haul, tow, or pull anything drastically large. 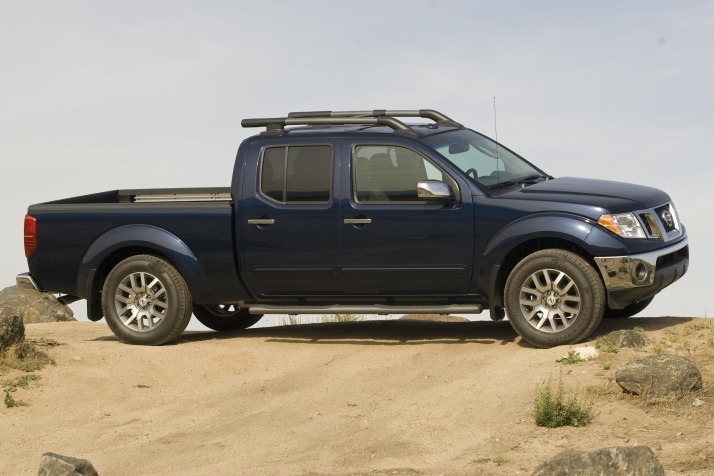 However, if you are looking for more strength in your pickup, the available 4.0L V6 can be had in the Access Cab and Double Cab models, with the price still staying below $22K for either line. The larger engine will up towing capacity to 6,500 pounds properly equipped. Hill-start assist control and Downhill-assist control are available on 4WD models with the automatic transmission. Aside from a slightly higher price, the Frontier matches up with the Tacoma quite well. It also comes with an available four-cylinder engine that can give 19/23 mpg, and offers an available 4.0L V6 to bring towing capacity to 6,500 pounds properly equipped. It does offer slightly better steering and a much better suspension, but the Pro-4X luxury package can raise the price quite drastically to over $26K. Rear seats in the King Cab are definitely not meant for passengers larger than children, but the Crew Cab can seat three adults comfortably across. If you don’t need one of the big boys, this is a very affordable option. The first ½-ton truck on the list is not only the most affordable, but probably one of the best that money can buy. Aside from Dodge’s past transmission issues, the Ram has withstood the test of time. It provides strong performance from either a 3.7L V6 or a choice of two powerful V8s; the 4.7L giving 14/19 mpg and the 5.7L which ups towing capacity to 10,250 pounds properly equipped. The rear coil-spring suspension takes away the harsh ride that traditional pickups have come to be known for, and sets the Ram in a class by itself. Options and amenities are plentiful, but opting for all of them may drive you out of the range of affordable. With a new, more powerful engine lineup, the F-150 is truly the working man’s pickup. Its class-leading 11,300-pound towing capacity properly equipped not only makes it more affordable, but may end up helping it to pay for itself for anybody looking to use it on the job. 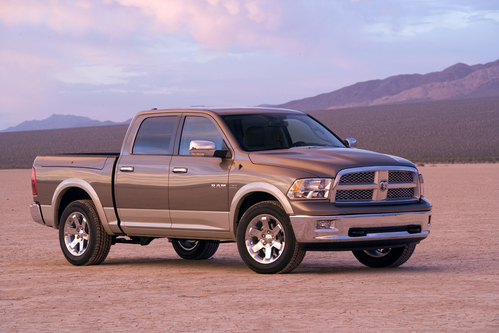 It delivers great handling and solid ride dynamics for a large pickup. The regular cab models boast less towing capacity than the larger models, but even the Super Crew Cab can be had for less than $30K. If you opt for the decked-out Harley-Davidson or Lariat editions, you’ll up the price substantially; but for everything you’ll be getting, it still may not drift out of the realm of affordability.